see a full list of projects here. 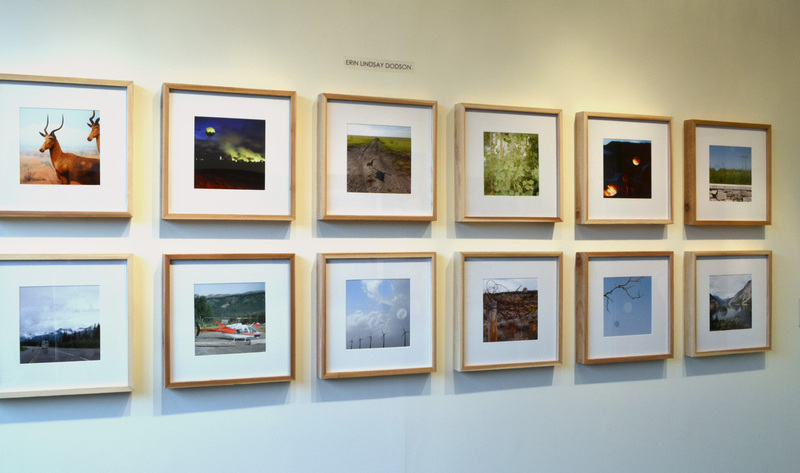 You can see some great snapshots from the show by Megan Mantia here. 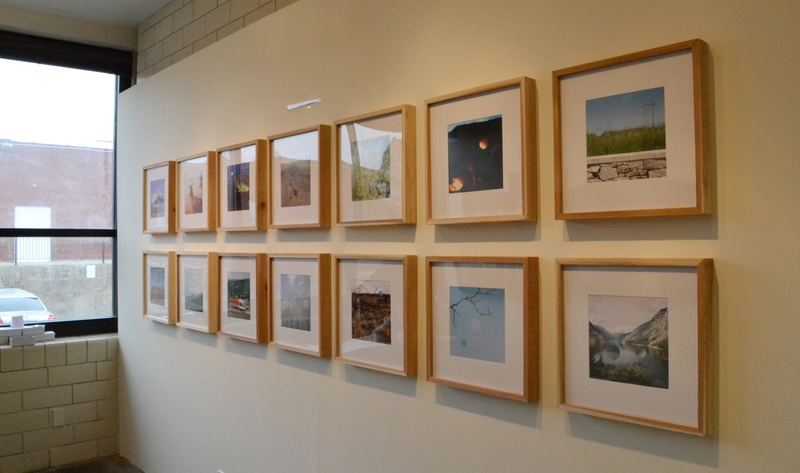 FRAMED: LANDSCAPE AND ARCHITECTURE at Black Box Gallery in Portland, Oregon, June 1st – 20th, 2016. Juried by Chris Bennett. Catalogs available to view or purchase here. 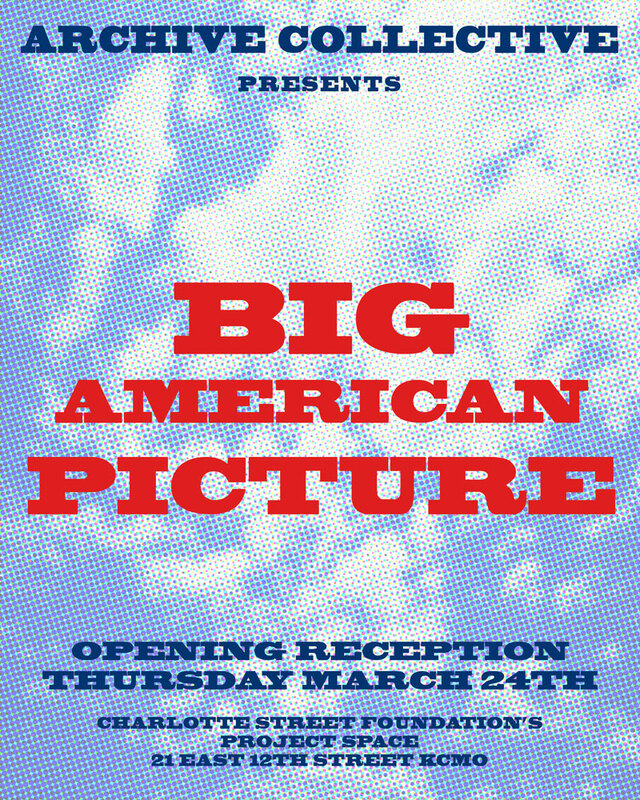 In this show, I had several images as part of Archive Collective’s installation called Big American Picture in Project Space. “The exhibition, curated by Jessica Baran (Fort Gondo & Beverly Gallery, St Louis, MO) includes new works by visual artists Max Adrian, Hannah Carr, Molly Garrett, Paige Hinshaw and Lara Shipley. The Archive Collective and Paris of the Plains Podcast will occupy Project Space with new media installations made specifically for this exhibition. 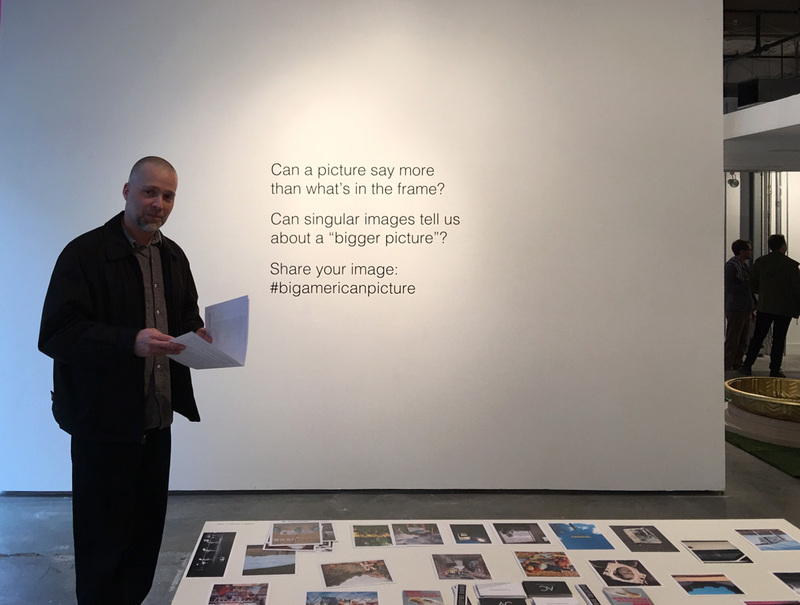 Writers Jason Preu, Danny Volin, and Lucas Wetzel have poetic and fictional work written during their residency periods collected in the publication The One Thing That Can Save America, which was also compiled and designed specifically for this exhibition. 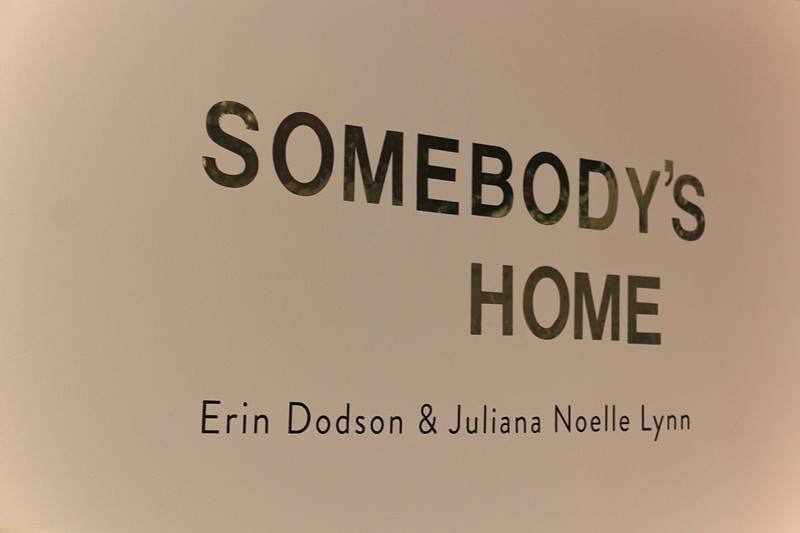 “We’re hosting an opening reception for Somebody’s Home, an exhibition featuring the work of Juliana Noelle Lynn and Erin Dodson. The work of Lynn and Dodson utilize a multimedia approach to explore memory, adolescence, and girlhood in the context of Midwestern suburbia. “Erin Dodson’s Strange Light, Suburbs is a series of digital images she began on Instagram, and later continued to develop with a full frame camera. Based on the experience of growing up in the suburbs of Kansas City, Dodson was inspired by the eerie nostalgia that arose when she noticed the lights and sounds from high school football games in the fall. The feeling reminded Dodson of the terror she felt as a teenager at the impending winter, and the mounting responsibilities of growing up. She recalled the nights in the woods between houses, building things out of branches by the old broken down car, trying to buy cigarettes, lighting candles in the tunnels that ran under the highway, the streetlights casting orange and green light through walnut trees at night, driving and loitering. Observing the colors of the light in the suburbs of Kansas City, the half-tamed plant and animal life, the idyllic parks and winding, plotted streets, all ignited the melancholy longing of suburban adolescence. 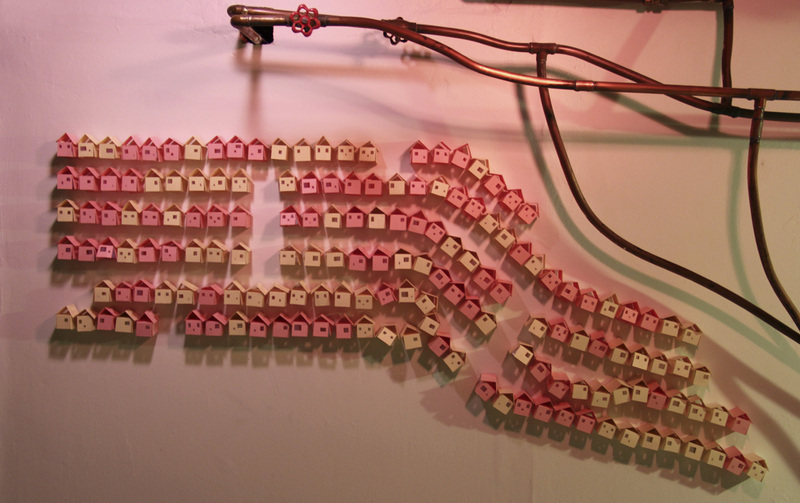 “Lynn’s animations and collages explore nostalgia and memory by contrasting idealized symbols of the suburban home and personal occurrences. Her work creates a depiction of the unraveling of home, the secrets, rumors, and stories slowly surfacing through use of mundane objects and interiors. After Dark, a series of paper collages, explores girlhood and budding adolescence within the quiet shroud of suburbia by night. This series reveals the curiosities of an elusive cast of preteen characters; the use of misplaced childhood tropes, such as mermaids and monsters under the bed, examine the unclear border of childhood and adolescence. In a phase of life with increasing social and bodily tensions, yet a nervousness about what lurks in the closet at night, After Dark seeks to examine the confusion, excitement, and discovery of the not quite coming of age. “Erin Dodson is currently the Assistant Curator at the Hallmark Art Collection, and Curator at Kiosk Gallery. She has her BA in Photography from City College of New York, and has shown recently at the East Gallery at KCAI, West Patrons’ Gallery, and the Gallery at Pioneer Bluffs. Juliana Noelle Lynn received her BFA in Painting from the Kansas City Art Institute. She is a recipient of the Benjamin A. Gilman Award and the 2014 winner of the Lester Goldman Drawing Competition. 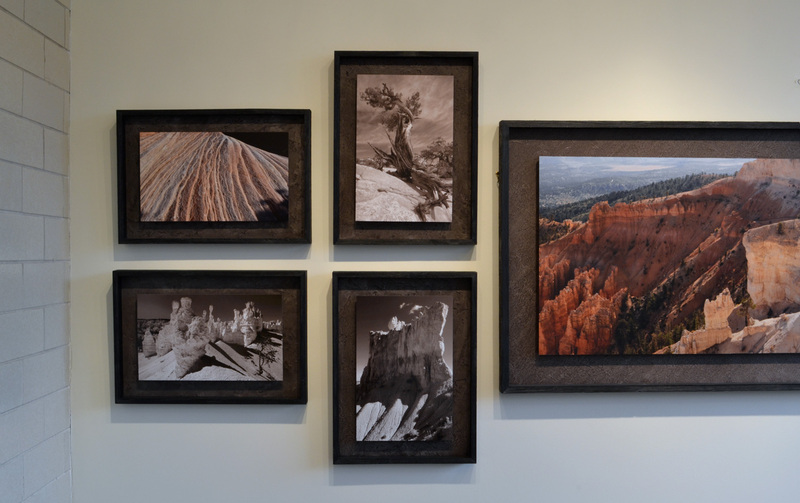 Lynn has shown work locally and within traveling exhibitions. Eric and Erin Dodson share a studio in their Kansas home. 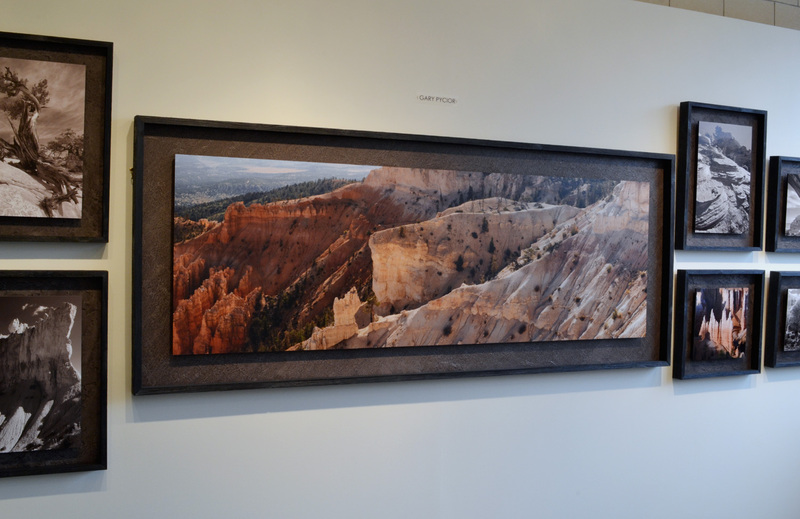 Despite working in different media, their mutual interest in texture and surface is apparent in Proximal Topologies – an exhibition of photography and mixed media work that premiered at The Gallery At Pioneer Bluffs in the Flint Hills (Matfield Green, Kansas) on June 6th, 2015. This exhibition traveled back to the KC metro area, and will be on display at the West Patrons’ Gallery at Shawnee Mission West High School beginning October 7th. An artists’ reception will take place on the 7th from 5:30-7pm. 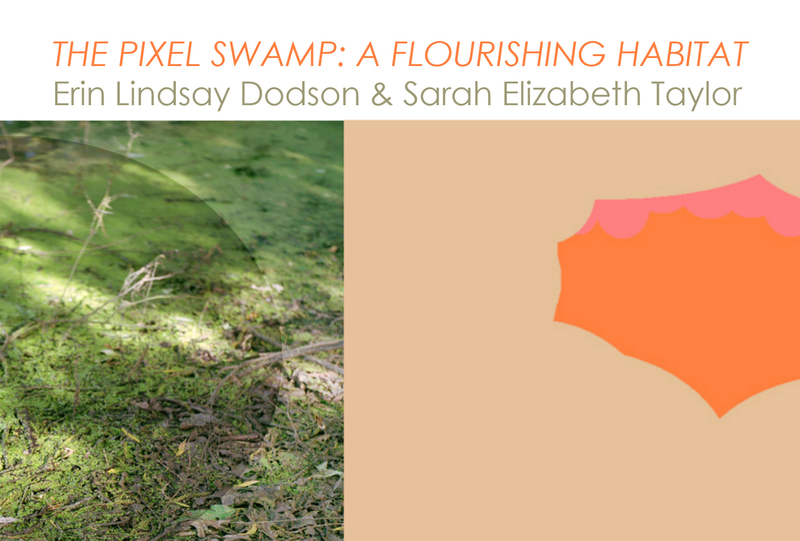 The Pixel Swamp: A Flourishing Habitat is an exhibition of digitally crafted, pigmented ink prints. These works take the viewer through a fantastical ecosystem comprised of misty forests and seductive swamps, hidden creatures and obscured desires. Sarah Elizabeth Taylor’s work flirts with the boundaries of dark, libidinous impulses and playfulness, romping in a playground of primordial romance featuring pixel-blobs as actors in a fantasy. 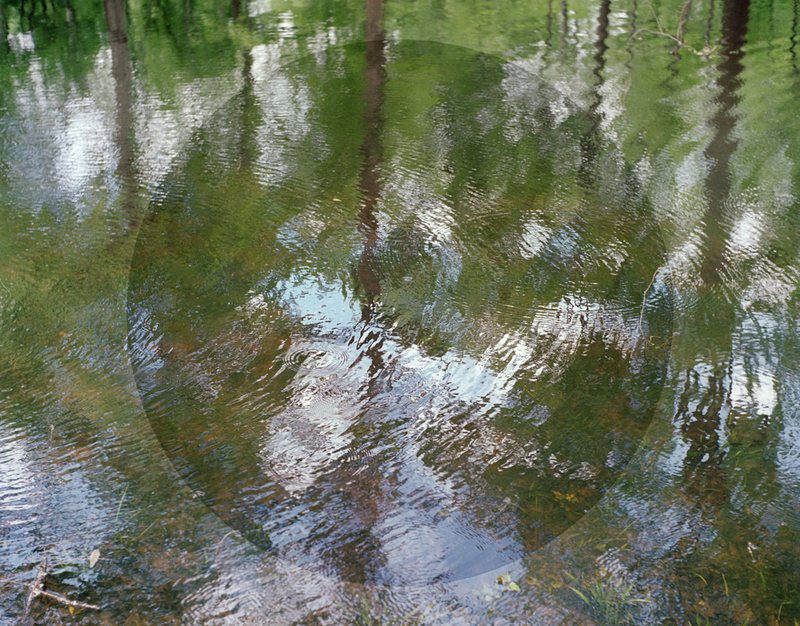 Erin Lindsay Dodson’s imagery displays the natural world through a portal of reality-obscuring glitches. The bubble-lens serves as a vehicle to explore a distorted habitat. Both push and pull around a central theme of the primeval and the aqueous, using digital technologies to mimic the natural world of the cellular and the reproductive. Over the course of a few weeks, Erin and Sarah asked one another a few questions about their respective work. Erin: Sarah, I’ll ask the hardest question first, which is usually what I want to know anyway: what are you attempting to do, or say, with this body of work? And how do you think the work does that? Sarah: Well, first and foremost, I am attempting to gratify the senses. If the images aren’t pleasing to anyone, then I’ve failed completely. I want to give the eye something to feast on; I’m a visual hedonist and want to provide as pleasurable a viewing experience as possible. As far as the content of the work goes, REVENGE OF THE PIXEL-BLOBS is an ever-growing collection of images that are inspired by the natural world, works of science fiction, beauty and the beast narratives, and personal fantasies and fixations. I don’t want to get too specific here, because if I began to speak earnestly regarding my own personal fantasies, then people would begin to realize just how truly weird they are. There will always be a necessary distance between what is actually going on in my head, and what appears publicly in ROTPB. Erin: I think you’ve succeeded, in that the work is certainly pleasing! The colors you choose appeal to me so much. Are you influenced by trends in fashion and design, or is there some other place that your color inspiration comes from? Sarah: I am a firm believer in the idea that people have innate or ̈native ̈ palettes. I have always been attracted to certain colors: pearly, complex grays; bright lime greens; cadmium oranges and reds; aquamarine and cerulean blues; and, of course, the fleshy nudes. My eyes are naturally drawn to these colors, and I have to believe that my brain is somehow wired to appreciate them. Regardless of show or subject matter, are there colors that you find recur throughout your body of work? Erin: The images I’m displaying now are considerably more muted, but I do often gravitate towards more saturated colors. There is an abundance of sky in much of my work, so that range of deep cyan to pale grey is a common theme. Being underneath a fully leafed tree, looking upwards… that sort of muted, shade-greyed green… that is probably my second most common color. An orange, coral, pink, something warm, that would be a tiny fraction, an exclamation. Indigo is a color I find frequently in my work, and I think it’s the most exciting, deep, beautiful color. I started really noticing indigo when I discovered that if you scan a piece of paper and invert it digitally, it’s opposite color is a very deep indigo – so indigo is the opposite of a warm paper-white, which is interesting. What is your process for making art, these images in particular? Sarah: ROTPB is not so much a “series” of images as a collection of loosely-affiliated works that sometimes involve a narrative, sometimes not. I am very sporadic, spontaneous, and impulsive in my art-making, and any medium is fair game for inclusion. That said, all of my images have been either created digitally or scanned in digitally, and all are eventually executed as pigmented ink prints. 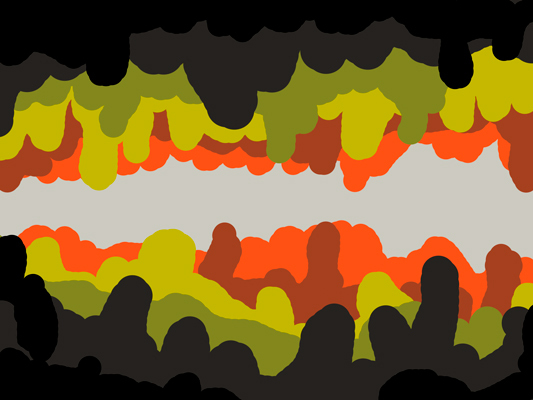 “Uvula Cave” was made using basic brushstrokes in Photoshop; “Swamp Fetus” was made using an archaic version of Microsoft Paint; “Sucker Doodle” was derived from a traditional doodle made on the back of a notebook during class using ordinary pens, pencils, and markers; “Sunset Near the Black Lagoon” originated as a color transparency taken on a cheap plastic film camera. They are united thematically, and not necessarily by medium. Erin: I am not committed to any specific tools in my work either, I will use whatever makes sense for what I’m doing! Although I certainly use some more adeptly than others. And like you, all of my work goes through a digital stage. The prints we’re showing currently are all pigment prints, but I’ve also recently found a place in town that does digital chromogenic prints, and I’ve enjoyed playing around with this hybrid of traditional and digital photography tools. What, if any, traditions in your chosen media do you feel you’re embracing, or reacting against? Sarah: The only tradition or idea that I truly react against in any art-related context is intolerance or narrow-mindedness when it comes to methodology: all tools, no matter how rudimentary, are legitimate and valid. You don’t have to have fancy software programs or an expensive camera; use what you have at your disposal! Accessibility is underrated; anything can be used to make art. 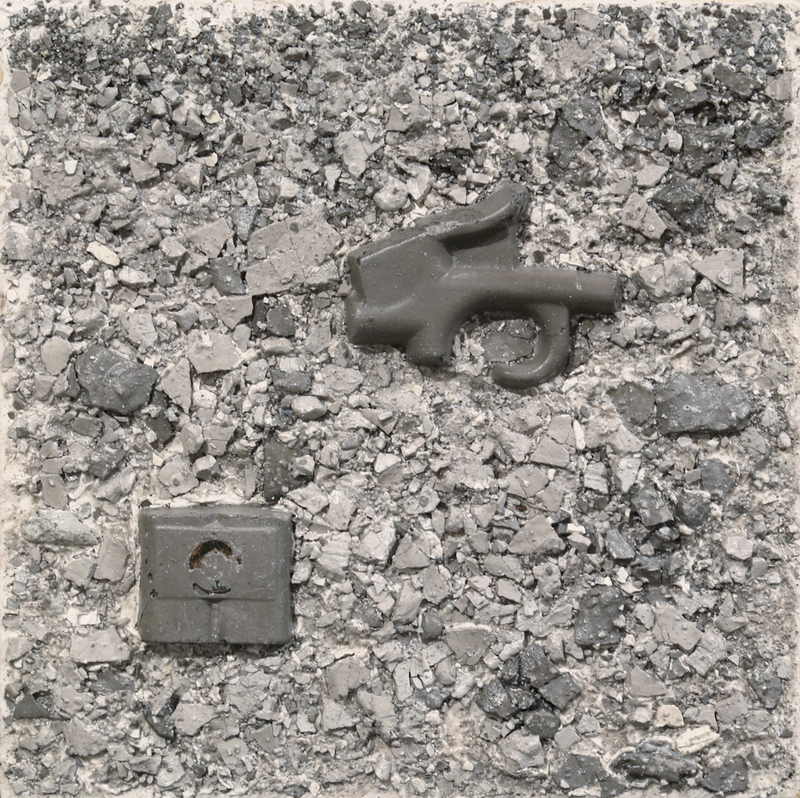 Erin: All of the works in this show are open-edition, as opposed to us placing an artificial limitation on them. What are your thoughts about editioning your prints? Sarah: It is very important for as many of my works to exist in the world as possible; for this reason and others, I will never edition my works. Twenty years from now, if I want to make a print of a work done in 2011, I will be able to do so with impunity. Erin: It’s something that I’m still dealing with too, and I continue to play with the parameters. There is not a long established tradition of digital art, and it will be interesting to see how the choices we make about putting limits on our work play out over time. 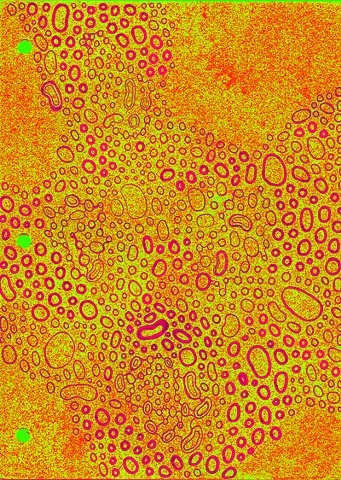 Are there any artists making digital work now that you really love? And what is your favorite way to view work that is digitally generated; do you prefer that the end result is physical/printed? Sarah: My favorite digital artist would have to be Petra Cortright. Her 2009 animated GIF piece, ̈Gold Drip ̈, was a revelation: all oozing forms and comical orbs, campy consternation and dread. It ́s at once hilarious and poignant, and remains my favorite artwork of all time. There is something magical about creating something mediated and intangible (the digital image) and then making it immediate and tangible (through the printing process). Erin, you shoot film but also use digital cameras and computer software to produce and edit images. Can you tell me what attracts you most to working digitally? Sarah: Fantasy or reality–and, why? Erin: I’m pretty sure the turning point in my work was when I was able to… when I realized I could… totally embrace the unreal. I learned how to be a photographer in a traditional way: learn how to use the equipment, go out into the world and see what you can capture, come back and process your film, work in the darkroom, edit, etc… then determine what truth about the world you had uncovered, what beauty you had captured. The question I always wrestled with regarding photography was: how can I take an idea, and use a camera to manifest it into images? With photography it always seemed you were starting with images and gleaning ideas from them, depending on what you edit out, how you arrange them, and how you use the formal elements to communicate. The answer I found was that if I take these images out of the realm of reality by incorporating glitches, orbs, or anything else that makes them obviously unreal, I have unburdened myself of the weight of coming up with some sort of “truth” about the world. The images become my place to play with reality, and I hope to point out the flaw in the idea that a photograph represents something “real”. So we’ve created a fantastical little world here, The Pixel Swamp. We were playing with the idea that the swamp is this fertile, rich habitat where flora and fauna can proliferate rapidly… and drawing that connection to us also being able to reproduce our work endlessly and quickly because of our digital capabilities. My images for this show are also arranged into a sort of creation narrative, starting with the simplest, undefined blue depths, and becoming increasingly more complex… to end with the flower petals scattered in the dirt (in celebration of “The Swamp Man Takes a Bride,” of course). What are some of your thoughts about your images related to The Pixel Swamp? Sarah: It is interesting to me that you inserted ̈Man ̈ after the word ̈Swamp ̈ (and, to be fair, until now I have not corrected you); in fact, the title for this piece is, ̈The Swamp Takes A Bride ̈. While many of my works do include a male creature or would-be paramour, this one does not: in this instance, the swamp itself is her lover. REVENGE OF THE PIXEL-BLOBS is entirely a female fantasy, and the blobs contained therein represent not simply the love of a man for a woman, but something altogether different: pure, unadulterated Love In Goo Form. The kind of perfect love that envelopes you entirely and will never leave you…ever. The Pixel Swamp is a perfect metaphor for my mind: a lush dreamscape, irrational and organic and full of mystery and danger, where I am forever free to fantasize about brave beauties and the lonely monsters who love them. Erin: I hope the viewers enjoy exploring our misty, mysterious digital swamp! 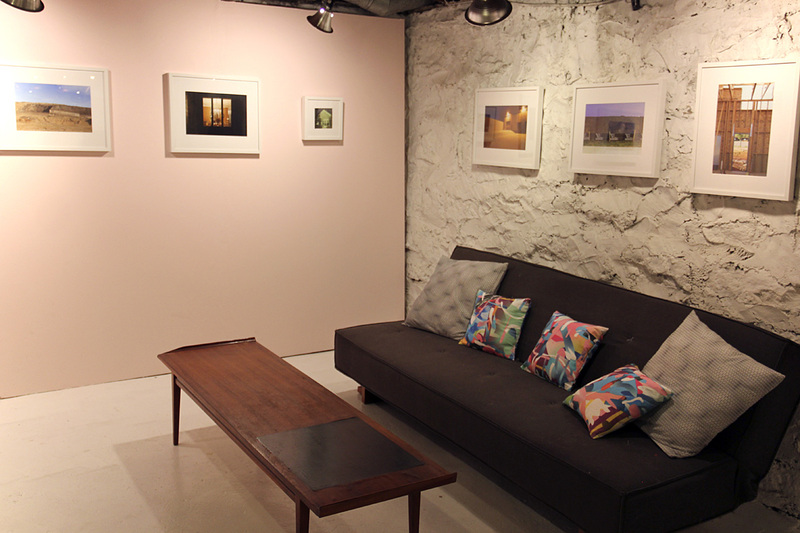 This show, Two Views West: Images by Gary Pycior and Erin Lindsay Dodson opened November 16th, 2012 at Kiosk Gallery. The image on the left is Gary’s, mine is on the right..
“By virtue of rivers, trails, railroads, and highways, Kansas City has historically been a crossroads to the West, which has always represented the archetypal American notion of exploration, expansion, and heading toward the frontier. “Two Views West” presents an orientation west of here, featuring the perspectives of Gary Pycior and Erin Lindsay Dodson. 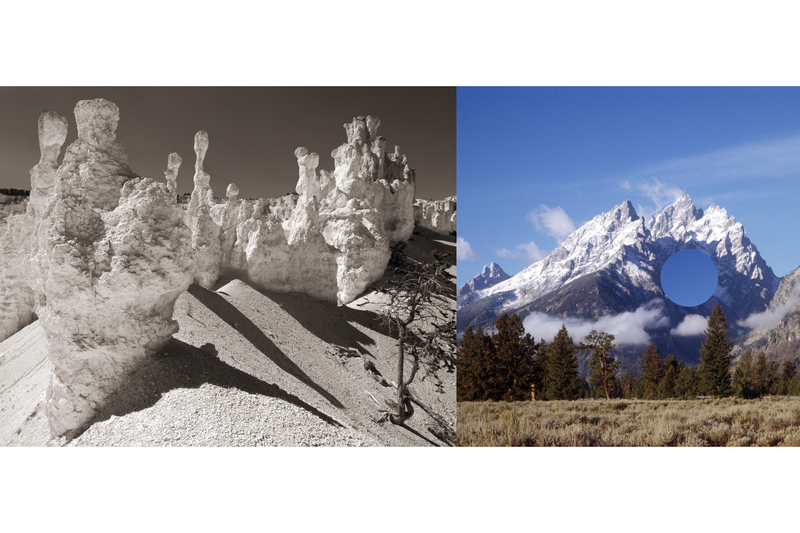 In this exhibition, the photography of Gary Pycior examines the beauty of the untouched nature of the West. Ancient landscapes are captured with evocative clarity. 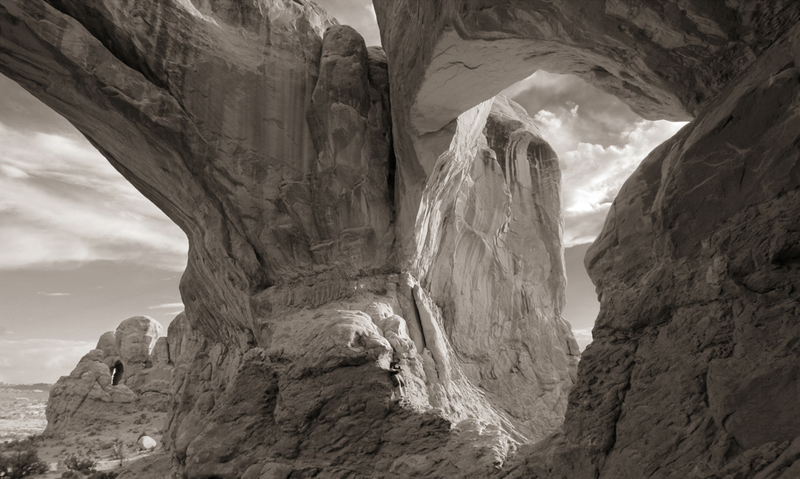 The viewer is invited into scenes of twisted trees, rhythmic striations of rock formations, and natural land bridges delineating cathedral-like open spaces. The long passage of time and process are prominently displayed, creating a perspective of the timeline of our lives in relation to that of the earth itself. 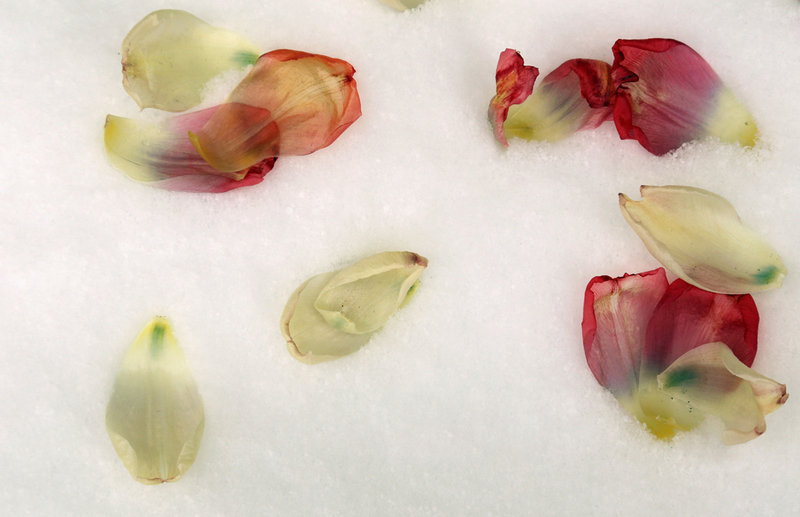 It is through his lens that Pycior seems to most comfortably experience such awe-inspiring beauty and inspiration. 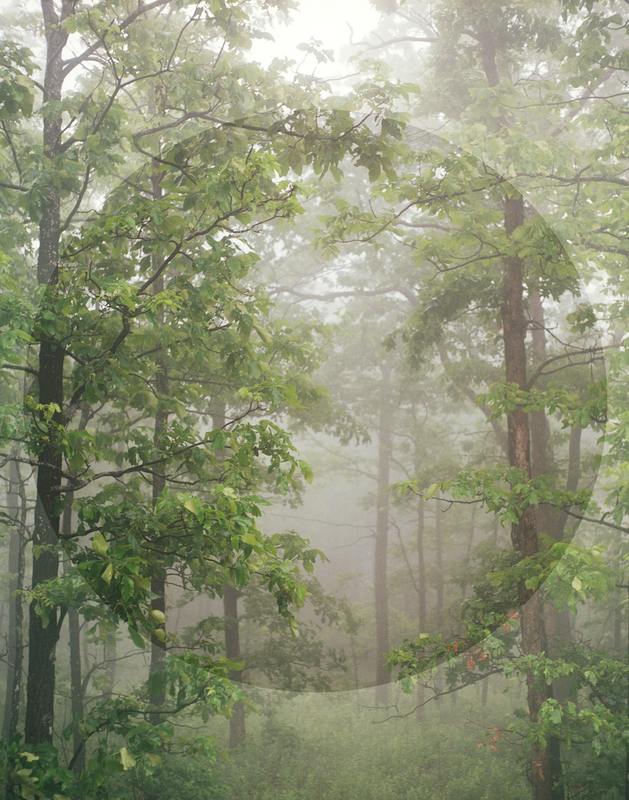 By contrast, Erin Lindsay Dodson’s photo-based images investigate the landscape of a tamed frontier. 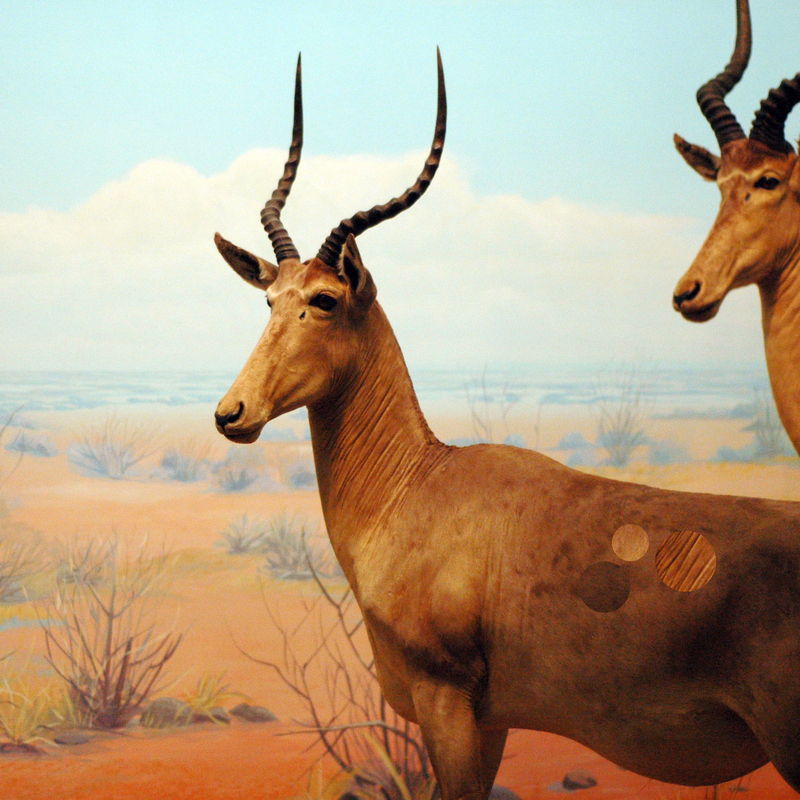 Her images reflect the cohabitation of nature with visible signs of the presence of man. Vegetation, water, and sky are juxtaposed with fences, stone walls, power lines, or effusive smoke from factories. Incorporating “glitches” into each image, Dodson examines the assumptions of the veracity of photography itself. Unwilling to take on the burden of documenting actual “truths,” she presents interruptions in the image as a means of asking the viewer not to overlook the limitations of the medium.